This week I'm preparing for my mission trip to Kazakhstan! One of the things I'm looking forward to is enjoying the food. I would characterize myself as an adventurous eater - I will try nearly anything once. When we were in Kazakhstan bringing home our oldest sons, we spent a few meals just pointing to random things on the menu. We enjoyed it all! We also lived on meat pies for the last week we spent there. They were so good! I hope to have a chance to blog a bit about the food we eat. As I may have mentioned, life has been a little crazy for my family lately and it made me think of some of the quick things I make and the kitchen shortcuts I take when we are so busy. 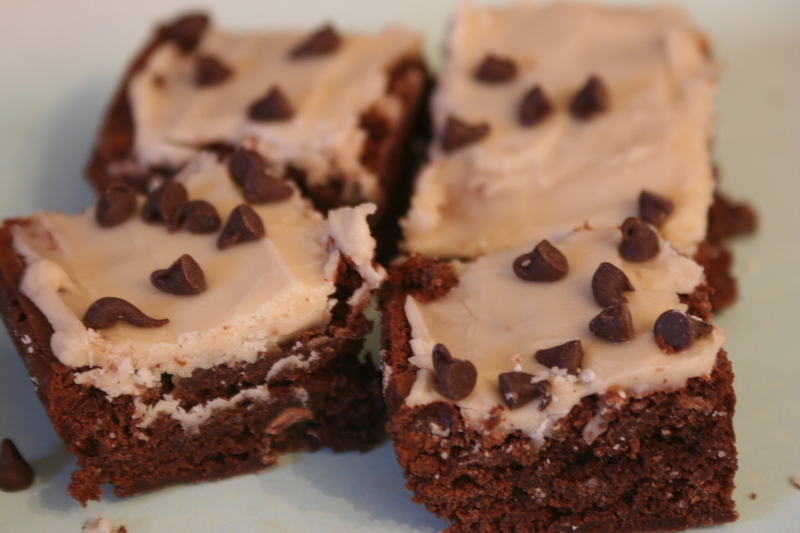 A favorite quick dessert is espresso brownies - they start with a brownie mix and we love them! Spray a 9 by 13-inch baking pan with nonstick spray. Pour brownie mix into a large bowl; add 1/3 cup of coffee, oil, and eggs in a large bowl and mix until combined. Stir until well blended. Stir in the chocolate chips. Transfer the batter to the prepared baking pan. Bake until a toothpick inserted into the center of the brownies comes out with a few moist crumbs attached, about 35 minutes. Cool completely. Meanwhile, mix the powdered sugar, vanilla, and 2 Tb. espresso, and butter and whisk until smooth (I add a little more powdered sugar to thicken it). Spread the glaze over the brownies. Garnish with more chocolate chips. Refrigerate until the glaze is set. Makes 24. Wow...I'm so making this! Yum! Looking forward to hearing about the food in Kaz. Thanks for posting this delicious recipe!! You can add or omit nuts and chocolate chips. Hope that helps! Enjoy!